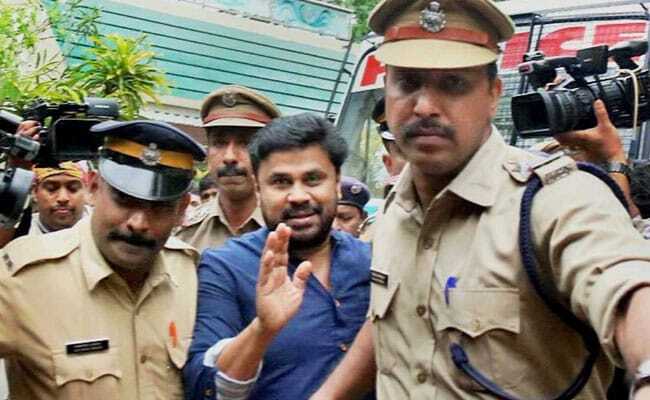 Dileep was questioned twice and was arrested after the second round of questioning on July 10. Dileep was arrested after the second round of questioning on July 10. Kochi: The Kerala High Court on Monday said the anticipatory bail application of actress Kavya Madhavan, wife of arrested superstar Dileep, was not required to be taken up since the prosecution maintained she was not a suspect in the actress abduction case. With the observation, the court closed her case. At the same time, the court posted the anticipatory bail of close aide of Dileep, actor director Nadir Shah, for October 4. The relief for her comes at a time when the fifth bail plea of Dileep, arrested for alleged involvement in the conspiracy behind the kidnapping, is coming up on Tuesday before the High Court. Dileep was questioned twice and was arrested after the second round of questioning on July 10. Mr Shah was questioned on two occasions and Ms Madhavan once. Apprehending arrest, the two had approached the High Court last week and filed their anticipatory bail pleas. The abduction took place on this day in February, when the actress was on her way from Thrissur to Kochi. She was taken around in her vehicle forcefully for about two hours and allegedly molested before being dumped near actor-director Lal's home, from where police was informed. The key accused -- Pulsar Suni and his accomplices involved in the abduction -- were arrested a week later. Following detailed questioning, police unearthed an alleged conspiracy angle in the abduction and arrested Dileep.